The foundations of US sport are being threatened by the scandal surrounding a small business in suburban San Francisco specialising in what it calls "hi-tech nutritional assessment". The Bay Area Laboratory Co-Operative (Balco), set up 20 years ago by Victor Conte, is at the centre of a federal investigation into a steroid distribution ring. Dozens of America's elite athletes have already given their testimony to the grand jury. But just what is the connection between the likes of baseball legend Barry Bonds and athletics queen Marion Jones and Balco? BBC Sport examines how some of the biggest names in sport have become caught up in what is fast developing as sport's biggest drug story. Baseball legend Barry Bonds is linked to the Balco scandal through his relationship with Greg Anderson - one of the four men facing trial for alleged steroid distribution. Anderson has been Bonds' personal trainer since 1998 but the pair are childhood friends. The 40-year-old star, one of his sport's best-ever big hitters, began receiving nutritional supplements from Balco four years ago. He also appeared in a magazine endorsing the company's trademark ZMA product, a zinc and magnesium supplement. Bonds, on course to break Hank Aaron's career home run record before he retires, has given evidence before the federal grand jury probing the Balco case. 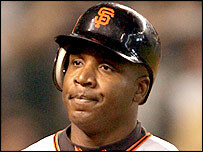 But the San Francisco Giants slugger has strenuously denied he ever knowingly took performance enhancing substances. "Barry trusts that he never got anything illegal from Greg Anderson," said Bonds' lawyer Michael Rains. Jason Giambi, once of the Giants' local rivals Oakland but now with the New York Yankees, is another big baseball name linked to Balco through Anderson. Giambi "confessed to drugs use"
In transcripts of his testimony leaked to the San Francisco Chronicle, the New York Yankees player admits to using both human growth hormone and steroids. Giambi, like Bonds a power hitter, claimed in his federal jury evidence that he received several different steroids from Anderson. But the 33-year-old, whose form was affected by injury last season, has always publicly denied using performance enhancers. The former Oakland Raider is considered to be one of the most important witnesses in the Balco case. Romanowski, one of six Raiders players asked to testify, was directed to seek the help of Balco president Conte by his personal trainer Randy Huntington back in 1996. The linebacker's long association with Conte is believed to have been crucial in attracting other NFL stars to the laboratory's services. Romanowski has enthused about using nutritional supplements throughout his 16-year career, calling himself the "supplement guru". In October 2003, three of Romanowski's team-mates, Barret Robbins, Chris Cooper and Dana Stubblefield were handed three-match bans after testing positive for THG. 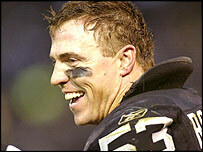 Meanwhile, Romanowski retired from the sport earlier this year at the age of 39. 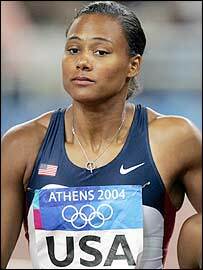 It could be argued Marion Jones' choice of partner has ultimately dragged her further into the Balco affair. The sprinter's former husband, shot putter CJ Hunter, employed Conte as his nutritionalist. And when Hunter tested positive for the banned steroid nandrolone at the 2000 Olympics, Conte appeared at his side at the press conference and blamed contaminated iron supplements. Hunter has since helped US officials with their investigation into Balco and reportedly claimed Jones used drugs at the 2000 Olympics, where she won five gold medals. Jones' current boyfriend, world 100m record holder Tim Montgomery, has been charged with steroid use although he has never given a positive test. The United States Anti-Doping Agency (USADA) brought charges against the sprinter on the basis of verbal evidence heard during the Balco probe. As for Jones herself, she has admitted taking the company's nutritional supplements. But the 29-year-old, who has never failed a drugs test, has publicly denied using performance-enhancing drugs. Jones' lawyers have been instructed to begin legal action against Conte after his allegations against the athlete in a recent interview with ABC TV. Like many of the sports stars involved in the Balco investigation, sprinter Kelli White was introduced to the Burlingame firm through her coach. 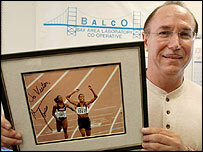 But White's coach happened to be veteran sprint coach and another Balco case defendant Remi Korchemny. The Ukrainian gathered his stable of athletes under the ZMA athletics club he founded with Conte - in reality nothing more than an advertising tool to promote the ZMA supplement. White's role in the scandal grew after she failed a test for modafinil at the 2003 World Championships. She was handed a two-year ban and stripped of her 100m and 200m titles. And White became the first person in USADA history to be punished not only because of a positive test but also on evidence gleaned during raids on Balco's offices just days after her failed test. The 27-year-old has publicly admitted to knowingly taking steroids provided by Conte and will appear as a federal witness in the case against him. The British sprinter's involvement acts as a warning that the repercussions of the Balco case are unlikely to be contained by American shores. 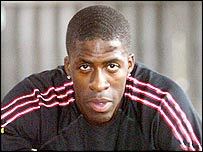 Like White, Dwain Chambers was coached by Korchemny and also used Balco's nutritional supplements. Conte himself claims to have met Chambers at the University of Miami track two years ago. The former European champion failed an out-of-competition test in August 2003. Chambers was banned for two years but has consistently denied wilfully taking anything to boost his performance. When news of his positive THG test broke, Chambers suggested the supplements he received from Balco could be to blame. Having failed in a bid to transfer his speed to the NFL, he could return to the track in early 2006 by which time he will be nearly 28. How do new drugs get into sport?